I remember September 11, 2001. I was in high school, waking up early to head out to class with one of my best friend's Gabe, when we saw what was happening on the news. Planes were crashing, towers were falling, and people were dying. It was a dark day for America. I also remember May 1, 2011. It was the day that President Obama gave a brief announcement about the assassination of Osama bin Laden, the man primarily responsible for 9/11 and numerous other acts of terror around the world. I'm an American living in Canada, and saw Zero Dark Thirty with a group of Canadian friends. Walking out of the theatre, one of my friends asked, "Does that make you feel proud to be an American?" I'm still wrestling with an answer to that question, and this review is part of that wrestling process. Zero Dark Thirty is filmmaker Kathryn Bigelow's follow-up to her Oscar-winning war film, The Hurt Locker. I described The Hurt Locker as "the singular most tense-filled moment I've ever been through while watching a film. An hour after leaving the theater, my shoulders and stomach were still aching from the tension." ZDT is similar in tone and theme, an a-political film about the war and tension in the Middle East, filled with intensity and drive and a captivating lead performance. Zero Dark Thirty opens with a black screen and a handful of audio recordings from 9/11. Haunting and somber, the words of helpless victims pleading over the phone sets the tone for the rest of the film. ZDT tells the story of the hunt for Osama bin Laden from the involvement of a fictional CIA operative named Maya (Jessica Chastain). Intelligent and driven, Maya is a no-nonsense let's-kill-this-monster kind of girl. We don't know much about Maya apart from her drivenness--she is all work, all the time, persistent to the point of obsession. With a lesser actor, Maya could feel robotic and inhumane as she methodically and slowly hunts the man behind 9/11. With Chastain, Maya is driven, yet retains a soul; this is a human being, searching for another human being. What drives her? ZDT never addresses this, and perhaps Maya doesn't know herself. She is driven, and she'll never stop until the mission is complete. Maya's first encounter in the Middle East with the CIA is a prolonged sequence about the interrogation--read: torture--of the terrorist detainees. This is the stuff of Abu Ghraib and Guantanamo Bay, with scenes of waterboarding and dragging naked detainees around by dog collars. This isn't a spoiler, per se. Acts of American post-9/11 enhanced interrogation tactics have been part of international news and controversy; ZDT simply presents these acts as "this is what happened." The film is careful to neither condone torture, nor an outright denouncement of its use; it happened, so it's in the film. 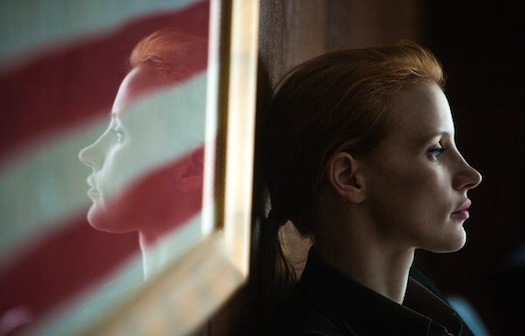 More than torture tactics, Zero Dark Thirty captures the meticulous, determination, and patience of the CIA. This is not something that can be summed up in a simple montage. False leads, frustrated hopes, and the pain of multiple terrorist attacks don't stop these people. Like Argo, this is a film about the mission, the hunt, the operation. All of the characters' actions and motives are determined by this particular moment in history. And it's an important moment; it's the moment where America gets its man and brings him to justice. The scenes leading up to the actual assassination of bin Laden are incredibly tense, though the whole operation happens quietly and methodically. This isn't the military operation of a typical Hollywood production; this is smooth, subtle, quiet, and by-the-book. While there are immense explosions and a few firefights, they are quick bursts in the middle of the silent operation. When bin Laden is assassinated (this is not a spoiler, unless you have no sense of history), it is done quickly and without drama. Instead of a Tarantino-styled revenge flick, reveling in all the violence, Bigelow wisely never shows us bin Laden's face. Does that make you feel proud to be an American? Yes and no. Yes, I'm proud to be a part of a country that is determined to pursue justice, no matter what. Yes, I'm proud of the hard work and diligence of intelligence agencies to keep the nation secure. No, I don't celebrate and revel in acts of torture, even if those acts were part of a process to capture and bring an end to a horrible criminal. No, I don't hold the same sort of rabid patriotism I saw on May 1 as scores of Americans held a national celebration at the death of another human being. For me, the assassination of Osama bin Laden felt like it should have been a quiet moment of remembrance for the victims and a prayer of gratitude that justice had been done. More than American, ZDT reminded me that I'm proud to be a citizen of a better kingdom, one that is eternal, where there will be no more crying or pain or war or death, where the King is making all things new. You say you should offer a prayer of gratitude at his death? You say you are a citizen of a better kingdom, one which Jesus died for you and everyone else to belong to. How does that not include Osama Bin Laden himself? 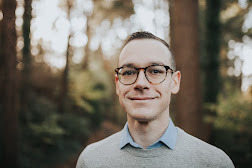 What prayer of thanks could you offer for the death of someone who has as much stake in the Kingdom as you yourself do? In what way is he any worse than you, or anyone, in a way that excludes him from God wanting him to come around? How is it justice when the very wrong doers God wants to come to him are murdered because we feel that what they have done wrong is "bad" enough? How do you say you believe what you do, but exclude others in your heart from that which God wants for everyone? I said I'd offer a prayer of gratitude for justice, and anticipate the kingdom of God to be fully realized in our world. I never said I was grateful for death, nor that I postured myself in a position of exclusion. I'm confused where I said that I "exclude others in my heart" in this film review. However, I'm confused by this statement, Anonymous: "How does that not include Osama Bin Laden himself? What prayer of thanks could you offer for the death of someone who has as much stake in the Kingdom as you yourself do?" This seems to imply that you are assuming that bin Laden was, in fact, a follower of Jesus and His kingdom, which means a) You believe bin Laden was a Christian, b) You believe jihadist Muslims are members of the kingdom of heaven alongside Christian believers, or c) You're implying a sort of universalism where everyone gets to heaven, regardless of faith or actions in this world. If that's what you mean, then you and I have very different views on the nature of the kingdom of God. Also, it'd be beneficial to the conversation to sign your name for future comments, to extend the courtesy of having a dialogue instead of an anonymous. Thanks! I meant to write "anonymous attack on my character and/or beliefs" in the final sentence of my last comment. Joel - Another thoughtful and well-written review, and thanks for the nod. I saw the movie last night, and didn't want to read your review before then. I have no idea what "Anonymous" is trying to say. My feelings on the movie, and the subject matter surrounding the movie, are very similar to yours. It was a well made flick that I appreciated because of its sober yet suspenseful treatment of the hunt. I did not feel like it condoned or celebrated some of the more controversial elements (torture, etc), but forced us to wrestle with them by authentically presenting them to us. What surprised me was how much I felt like I knew the character of Maya even though I knew almost nothing about her. It was an interesting choice to thread these events with the story of a woman's determination and the costs it could have on her humanity. Why this emotional thread for these events? Could just be the stamp of a female director, but I think there are other reasons worth exploring. Was she pursuing her goal out of noble duty, or personal obsession? Did the pursuit have to become a personal obsession in order to be a success? Does the success of a mission need someone to shoulder the burden of personal obsession, because that is what really makes things happen? Makes us re-evaluate the worth/cost of the things we pursue. Anyway, good review.